Visitors should enjoy and understand the museum they visit. Effective interpretation allows each visitor to personally connect with a resource or place and to care about the museums on their own terms. Interpretation is about getting the story across to the public. 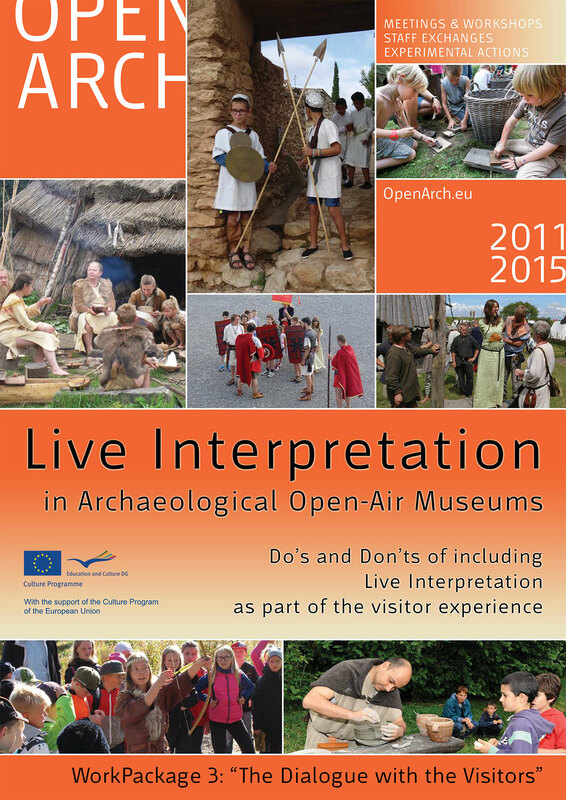 This can take place in text and images (text panels near showcases, guidebooks, websites, apps or movies), but can also be done by guide persons and is then called Live Interpretation: “any live interaction between museum / site staff and visitors” (Imtal-Europe). Live Interpretation is an important method of presenting. It includes any interpretation, using living people to address the audience. One can simply start with guided tours, workshops and semi-formal School programs. If we move on to living history-type activities, we get demonstrations of historical craft, storytelling and costumed first- and third-person interpretation. Interaction with Visitors in Archaeological Open-Air Museums. Film by Archeon (NL) and Arheološki Institut (RS) in the frame of the EU Culture Programme OpenArch (2011-2015). ANDERSON, J., 1984, Time Machines. The World of Living History. Nashville Tennessee: The American Association for State and Local History. DUISBERG, H., 2008, Living History in Freilichtmuseen. Neue Wege der Geschichtsvermittlung, Ehestorf: Förderverein des Freilichtmuseums am Kiekeberg. GOODACRE, B. & BALDWIN, G., 2002, Living the Past: Reconstruction, Recreation, Re-enactment and Education at Museums and Historical Sites, London: Middlesex University Press. TILDEN, F., 1957, Interpreting our Heritage, Chapel Hill: The University of North Carolina Press. 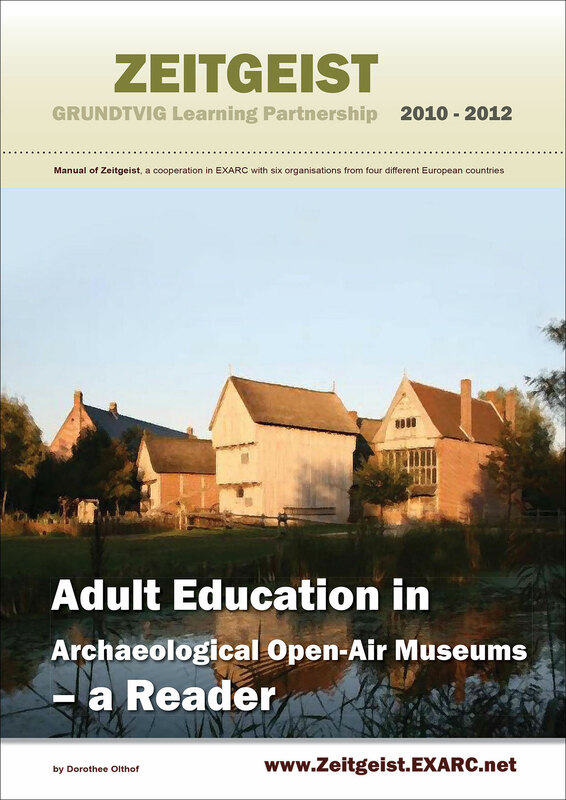 EXARC and a number of its members applied in 2010 for a Grundtvig Learning Partnership. Grundtvig was a part of the Lifelong Learning Programme (LLLP) of the European Union which among others involves Leonardo and Erasmus. The Grundtvig Programme was focussed on adult education and in our case involves several museums, open-air museums, universities and high schools.We worked with our partners from across Europe to share practice, discuss problems and compare solutions on our particular topics. Obviously our project was about non-formal learning in different aspects. While writting an application two projects have been formed: Didarchtik and Zeitgeist.